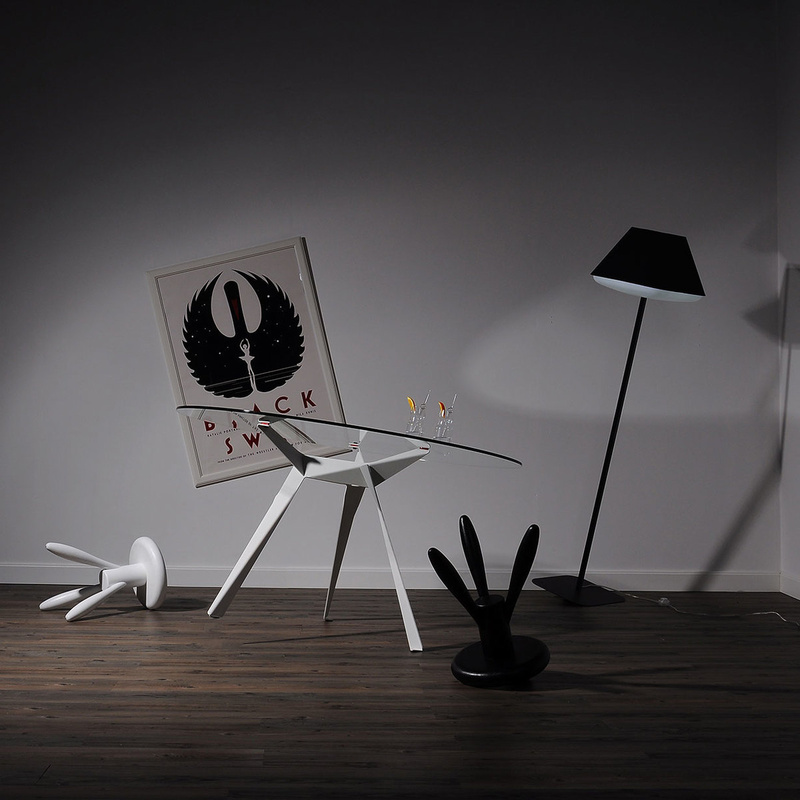 The Origami dining table by Innermost is a masterpiece of simplicity and functionality. Made from glass and steel, it is supplied flat packed. 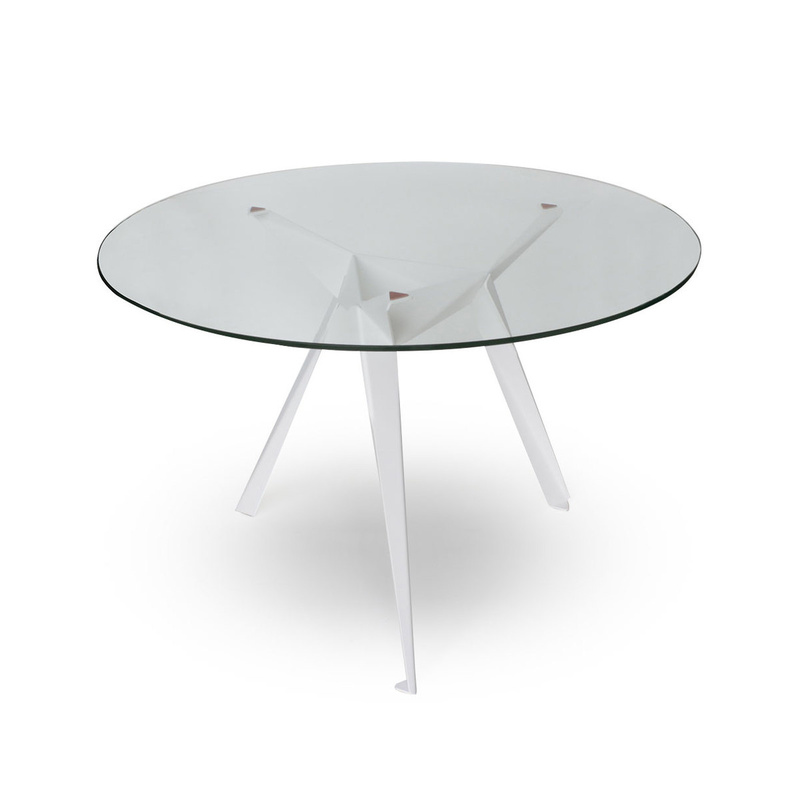 Three hidden screws secure the glass top to the legs, available in two classic colour options - black or white. Assembly takes 2 minutes and requires a small screwdriver. Because at innermost we understand that when it comes to great interior design, it is often the tiniest details that will sew together perfection. This beautiful designer dining table is a design by Anthony Dickend, who has been running his London-based design studio for ten years. The essence of Anthony's design is driven by a desire to create simple yet functionally innovative and thought-provoking objects. He discovers new ways to express traditionally designed objects, subverting archetypal forms and re-imagining the everyday things that surround us. The Origami table was awarded the Elle Decoration Award for best table. 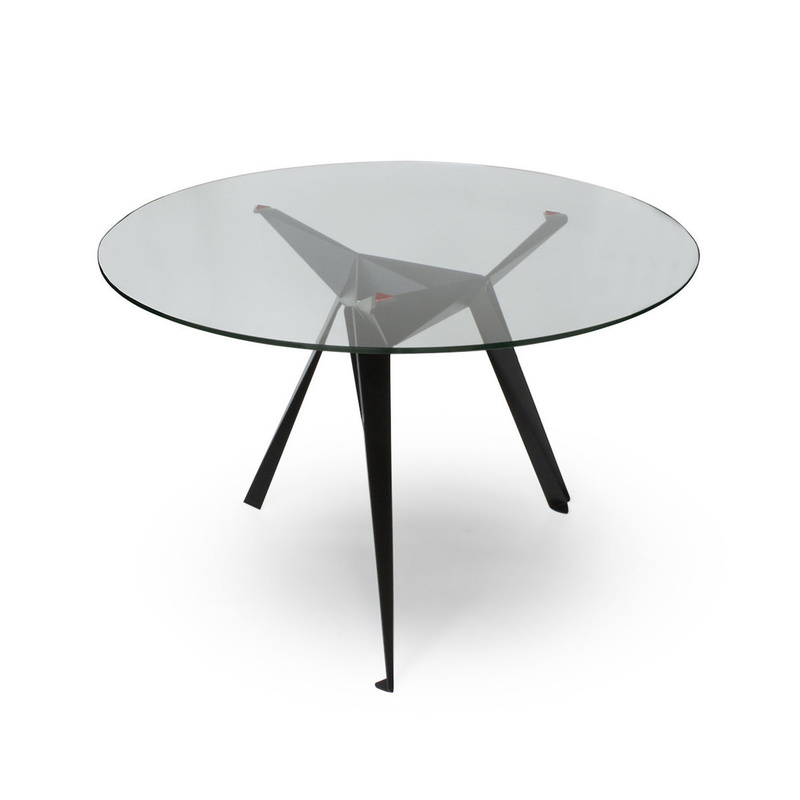 It is inspired by the Japanese paper folding technique named Origami - just like the tiny paper swans that come out of a plain sheet of paper, the legs of this table are achieved through many folds of the metal. Lightweight, streamlined, sophisticated - in one word, Origami is just beautiful. Its round glass top adds lightness and grace to its design. Thanks to its streamlined character, Origami will perfectly fit in home spaces of any style, from modern to classic, from contemporary to traditional. The surface is a perfect circle made of clear tempered glass, with a thickness of 10 mm. 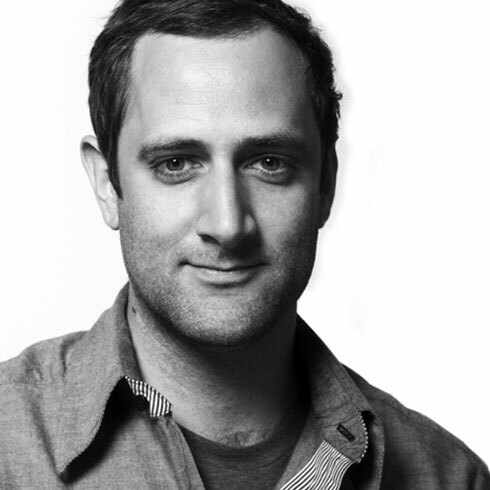 Anthony Dickens has been running his London-based design studio for ten years. The essence of Anthony's design is driven by a desire to create simple yet functionally innovative and thought-provoking objects. He discovers new ways to express traditionally designed objects, subverting archetypal forms and re-imagining the everyday things that surround us. For example, creating a clock that expresses time in a more natural and representative way by displaying it in a linear fashion rather than a circular motion, or updating an Anglepoise task light to reflect today's way of working on illuminated computer screens. He divides his output between domestic and commercial product design. Domestic products include the ‘Origami' table range (Elle Decoration Award for best table), the Anglepoise ‘Fifty' light (shortlisted for the Design Museum's Brit Insurance Product of the Year) and the recently-launched ‘Around' clock for Lexon. Anthony has been commissioned by commercial companies to bring brands to life. Projects include products for Red Bull and Veuve Clicquot and a range of homeware for Audi, made from parts of a TT car. Anthony is also a founding partner of Together Creative, a collaborative network of designers, architects, film makers, illustrators and writers who work in flexible teams to provide bespoke brand communications solutions for a diverse range of clients.